Two YouTube pranksters are to go on trial over the theft of a cup of tea. Ally Law, 22, and Ryan Taylor, 25, deny burglary at the SnoZone ski slope in Milton Keynes on 6 November 2017. The two, who have more than 2.6 million subscribers on their social media channel, are alleged to have stolen a "hot beverage of value unknown". Mr Law, of Hepworth Close, Southampton, and Mr Taylor, of Lichfield Road, Bloxwich, style themselves as "urban explorers" on social media. 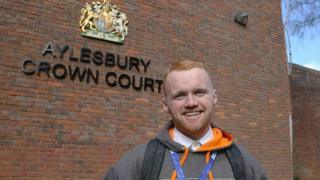 The trial has been provisionally listed for Aylesbury Crown Court on 10 June.